Lot Detail - (3) 1940 Chicago Bears Football programs The Bears won the 1940 NFL Championship! 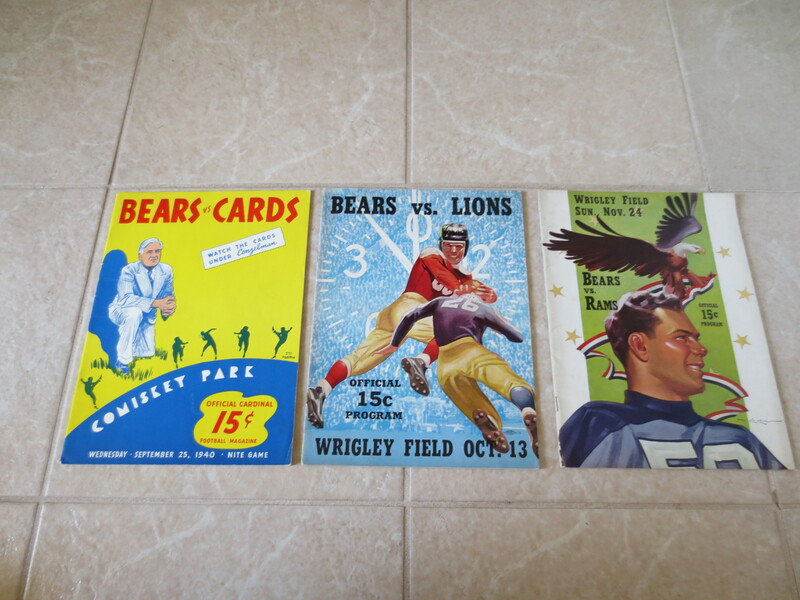 (3) 1940 Chicago Bears Football programs The Bears won the 1940 NFL Championship! What we have here are three different 1940 Chicago Bears football programs in super condition. The first has the Bears at the Cardinals on September 25th. the second has Detroit at Chicago on October 13th. The third program has the Cleveland Rams at the Bears on November 24th. The attendance for this game was only 20,717. The Bears won the 1940 NFL Championship 73-0.